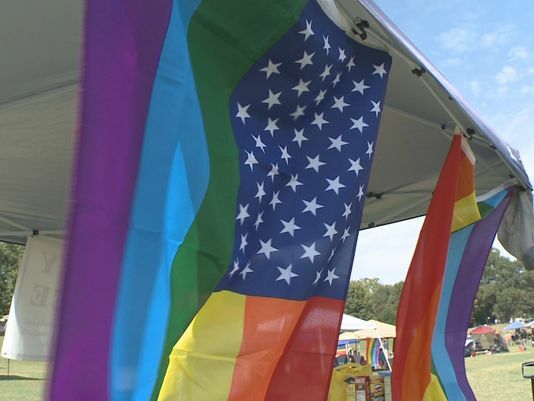 ATLANTA -- The 45th annual Atlanta Pride Festival will be the largest Pride event in the southeast, and the largest in the country to coincide with National Coming Out Day this weekend. Streets will begin closing at 10:00 a.m. on Sunday. It starts near the Civic Center MARTA Station, then merges off Ralph McGill onto Peachtree Street and Travels north. It then turns east on to 10th Street and follows 10th Street to the Charles Allen Gate entrance of Piedmont Park, where the Parade officially ends. 11Alive.com will be streaming the parade beginning at 12:45 p.m. 11Alive's Blayne Alexander and Jeremy Campbell will be hosting our coverage with a view of the parade and interviews with live guests. The 11Alive Storm Trackers Truck will be in the parade handing out "Pride is Alive" bracelets along the route. To watch the live stream, go to 11Alive.com and look for the red banner at the top of the page, or check this link directly when the stream starts at 12:45 Sunday. To watch our coverage on the go, download the 11Alive News app now. On Sunday, open the app and click on the live stream at the top. The parade route closures could affect other downtown events including Sunday's Falcons game and the Disney on Ice Show at Phillips Arena. Stay up to date on street closures and traffic alerts by checking live traffic cameras and our interactive map. See a full list of road closures for the weekend. Roots of Atlanta Pride stretch back to 1970. 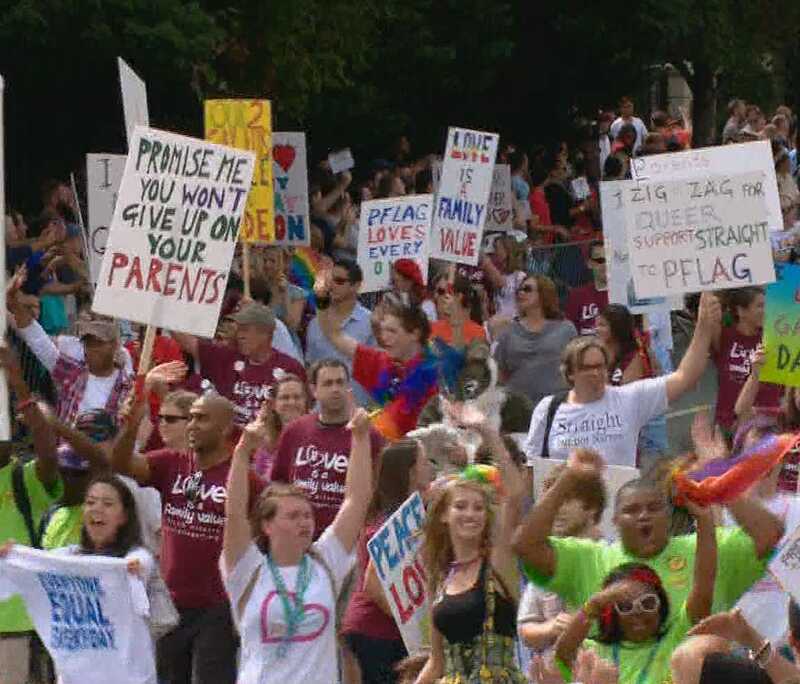 On the one year anniversary of the Stonewall riots in New York City, activists handed out literature in Piedmont Park. By 2007, more than 200,000 people were drawn to the downtown parade. Through the years, the parade has been relocated, reworked, and renamed. It remains an event with huge community backing. The Atlanta business community is participating in record numbers. Floats in this year's parade include Frito Lay, Siemens, AT&T, Wells Fargo, Nike, Nissan, and many, many more.